Join dancers from all over the area for a fun and free event. Students and professional dancers from Northwest Bellydance will perform “Wanderers” and “Zeina”. Nefabit will also be selling new and used dance costumes from her closet! 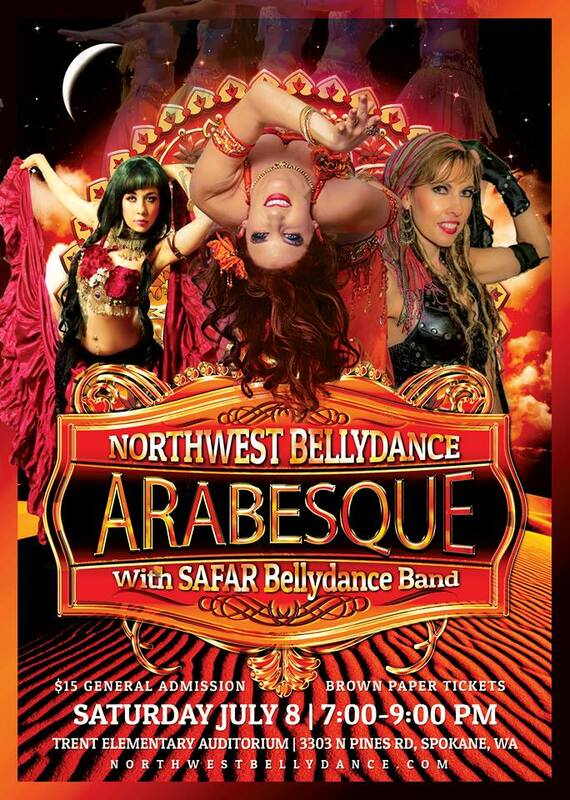 Join Northwest Bellydance Company and Safar for an enchanting evening of cultural entertainment. This one of a kind performance combines ancient dances, modern production and a dose of imagination in the troupes signature blend of entertainment. Enjoy classical belly dance, tribal fusion, Bollywood, and more, with live accompaniment by pan-Arabic bellydance band Safar. Call (509) 481-1533 to purchase tickets. Join us for an evening of bellydance as you’ve never seen it! Enjoy dance styles from across the Middle East and beyond, blended with modern production and a dose of imagination. 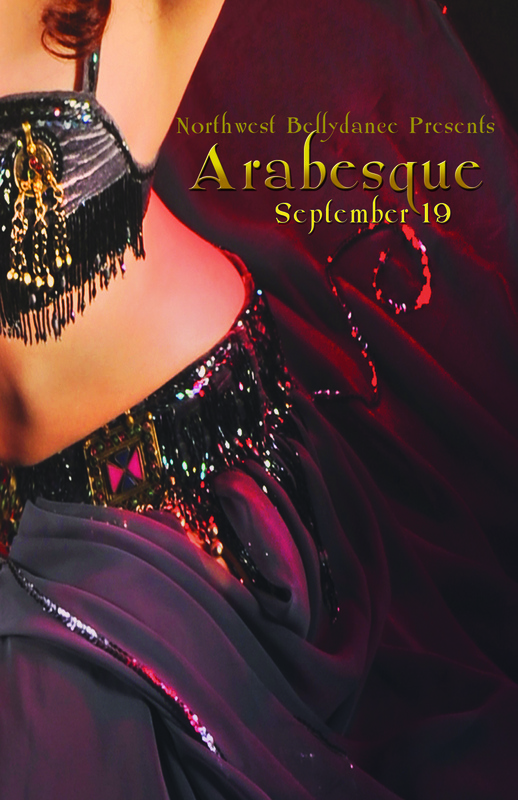 Arabesque has become an anticipated annual event since 2010. Join us for a theatrical evening of bellydance, tribal fusion and more in a one of a kind cultural event for all ages you won’t want to miss. This show combines ancient dances, modern production and a dose of imagination in the troupe’s signature blend of entertainment. Northwest Bellydance Company’s shows have been an annual event in Spokane since 2010, and now for the first time they are venturing out on the road!